Brief Bio. Name: Vearna Gloster Titles: Beekeeper, Pre- School Teacher, Independent Researcher, Innovator, Poet and Forthcoming author. Business: Arg's Enterprise for Pollen and Pure Honey Founder of: Bee Active Initiative Member of: Trinidad and Tobago Beekeepers Associaton Phone: 8682746677l Email: vearnarg3@gmail.com Website: argsenterprise.webs.com Vearna Gloster is an active Beekeeper for the past (10) ten years. Her broad and optimistic approach in beekeeping will open and enhance new levels of understanding in our local beekeeping industry. She is an activist in the promotion of saving our Honeybees by spreading the knowledge of the vital role of these amazing insects in our survival. Vearna is the founder of ‘Bee Active Initiative’ which help young children store information and help in the conservation regarding the role of Honeybees in the “green” survival of humanity. Vearna was featured in the Sunday Express Mix Music Section at #1 on the top 12 Indigenous Chart for her piece on ‘Honey’, capturing the state of our local honey industry in November 2014. She has been an awardee in the Special Prize Category of the NIHERST Prime Minister’s Awards for Scientific Ingenuity in 2015 with her Solar Bee Hive Vent and was featured in the Plenty Sport E-zine Issue #19 in January 2016 as ‘ The Honey Bee Runs!’ As an independent Researcher in the beekeeping field, she is currently working on Honeybee Botany in Trinidad and Tobago which also brings with it the understanding to the link of the medicinal/nutritional value of the plants/ trees/ shrubs and our honey. 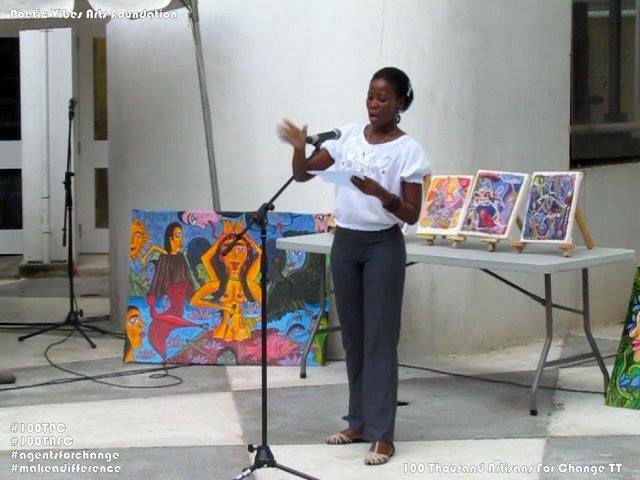 She is a forthcoming author of the ‘Sun Goddess’, her first poetry collection.